Thank you all for signing up for the training event this Saturday, Sept 8 from 9AM to 4PM. Please come to the 19thFloor, Memorial Hermann Medical Plaza, 6400 Fannin St, Houston, TX. For directions from your starting point please go to http://mhmp.com/directions-parking . Park in the garage to make it easy on yourself. We will be in the large classroom on 19 for the class. You cannot miss us when you get off the elevators on 19. 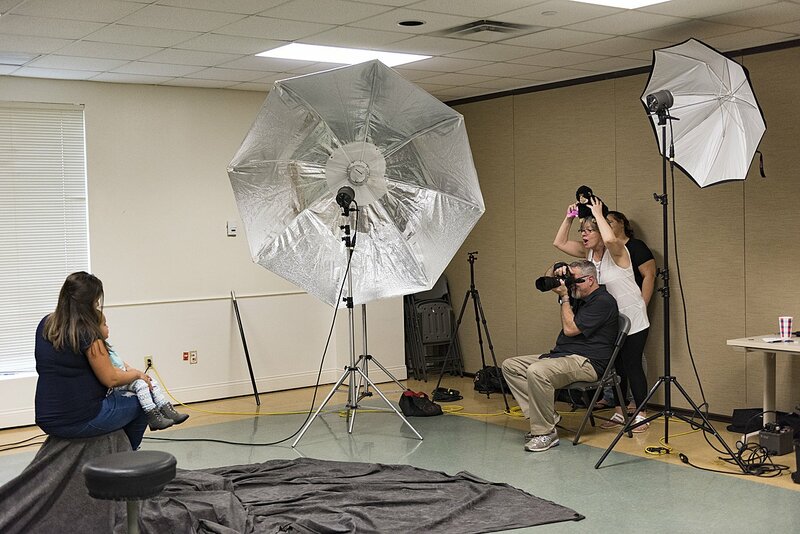 Some of you have said you have portrait lighting equipment and backgrounds and we do not need any of it for the training session but may need it for Ft Hood itself. If you have a photo using your background please send it so we can see if it will be suitable for this application. Also we need the size of the background as well. Most of the backgrounds we use are a minimum 10×20 and we use every square inch of it. On Saturday we will have three families coming between 10 to 11 AM for their portrait session with us. I would like each of you to have the opportunity to pose and photograph a family or two in the morning. Remember that we only have 10 to 15 minutes at Ft Hood for each family. By saying this please take time to look at as many family portraits as possible between now and then for posing ideas. Go to the web and look at “how to pose family portraits in a studio setting” and you will see several websites with ideas and suggestions. We will break for a lunch of pizza for thirty minutes. I will have water and soft drinks there for all. After lunch we go into the computer room side of the operation. Tim Watson and Nick Quinn will show us how the server set up works and how to access the portraits for retouching. These are mostly young people so they should not need a lot of retouching. Also, we will show how to vignette the final images without going overboard. All of this in one day is a tall order so be rested and ready to go with a big smile and warm heart and a double load of patience. No one has all the right answers so do not hesitate to ask questions and offer suggestions. Please do not hesitate to contact me if you have any questions at all. If you have others that would like to join us please bring them along. The only dumb question is the question you do not ask and miss the opportunity for more knowledge.